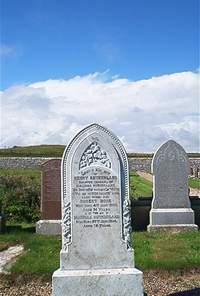 Henry Sutherland died at Bulnacraig East Clyth 7th January 1880 aged 36. Son Robert Rose Sutherland died 4th July 1900 aged 21. Wife Isabella Sutherland died 27th June 1914 aged 72.